Got 60 seconds? Join Crabtree & Evelyn and lend a helping hand to the fight against breast cancer when you purchase the Limited Edition Pink 60-Second Fix® Kit for Hands. 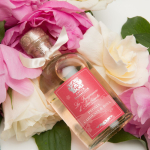 Crabtree & Evelyn will donate $1.00 from the sale of each kit to Susan G. Komen for the Cure® in the United States during the month of October 2010, with a guaranteed minimum donation of $25,000. Each Pink kit contains a 3.5 ounce Crabtree & Evelyn Hand Recovery Treatment, which cleanses, exfoliates and moisturizes hands and a 3.5 ounce Hand Therapy Moisturizer in the La Source, Citron Honey and Coriander or Gardeners line. I’ve personally tried the Gardeners and La Source lines before and the Hand Therapy Moisturizer has been a miracle worker for my dry hands. 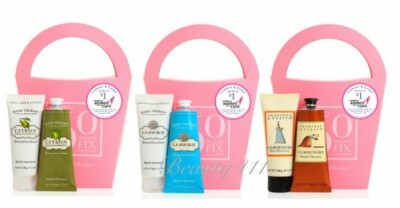 The Crabtree & Evelyn Limited Edition Pink 60-Second Fix® Kit for Hands retails at $30.00. 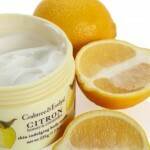 You can find the kit at Crabtree & Evelyn retailers or online at www.crabtree-evelyn.com.